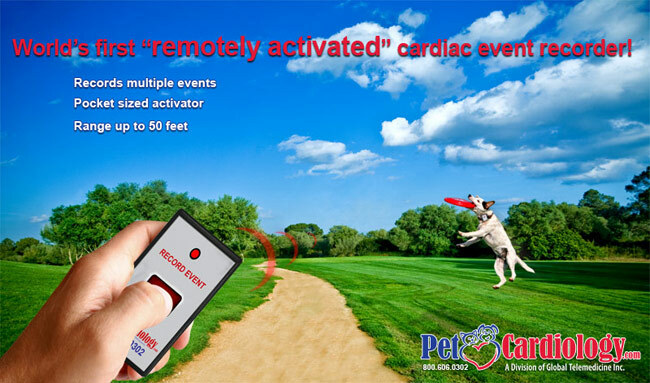 Venice, CA -- November 28, 2018 - The Department of Research and Development announces the soon to be released world’s first “Remotely Activated” veterinary cardiac event recorder. Traditional event recorders have been manufactured for humans only, requiring manual activation of the device, creating problems when trying to adapt to the veterinary field. Veterinarians and animal health care professionals are now able to monitor animal ECG during normal activity, at a range of over 50 feet, even while caged. This new compact device (size of a pager) and its “key chain” activator can be used on any size animal including horses for the recording of symptomatic cardiac events. Pet Cardiology/CardioPaws, has been servicing the veterinary and animal breeder industry for over 20 years by providing 24 hr Holter and weekly assisted cardiac event monitoring. There is also an optional consultation with diagnosis and treatment plan (additional fee of $85.00) by our cardiologist.